Dr. Stephen is the CEO of DC Healthcare Inc, and the president of SM Reality LLC in Washington, and has been politically well-connected in both Washington DC and Kerala. He has dabbled in media and having arrived in America almost 4 decades ago, and has been among the first generation of Indian community builders here. In his acceptance speech for the award for excellence in business, he recounted the Indian American community’s landmark achievements in all walks of life here – and we have only started! Ajay Ghosh was chosen for his contributions in media. He has founded the Universal News Network (UNN), a news portal as chief editor, and has been associated with news publications including India Tribute, Indian Express (North American edition), NRI Today and Asian Era magazines. And since 2010, he has been the media consultant of the American Association of Physicians of Indian Origin (AAPI). In addition, he has taught Social Work Seminar and guided students at the Graduate School of Social Work at Fordham University in New York City since 2006 and works as a Primary Clinician at Yale New Haven Hospital, serving patients with behavioral health issues. Mr. Ghosh dedicated his award to the journalists of Indian origin, who work tirelessly to inform, educate and create awareness on issues that affect the peoples of the world. Dr. Thomas Abraham highlighted the need for bringing together the Indian Diaspora under the banner of GOPIO and how it has become a powerful force in raising our voices against discrimination and injustice. In her acceptance speech, Rekha Nair, who stunned the world by donating one of her kidneys at a young age to save the life of a woman she barely knew at the time last year, made an impassioned appeal for organ donation and blood donation. Of the two siblings, Tanishq, 14-year-old senior (4th year) completing his biomedical engineering degree, could not come down from California, so his younger sister Tiara, 12, accepted the award on his behalf too. She also gave a performance and showed why she is considered a prodigy soprano. NAMAM, or the North American Malayalees and Associated Members, founded by Madhavan B. Nair, has been honoring its best and brightest at biennial events. Madhavan Nair, in his welcome address, described it as, “an unforgettable evening as we honor extraordinarily accomplished individuals, who have made valuable contributions to the Indian-American community with the NAMAM Excellence Awards.” The evening program was studded with dance and live music performances, both Indian classical and contemporary/Bollywood. Among the 350 attendees at the event were many prominent members of the community and guests from India. 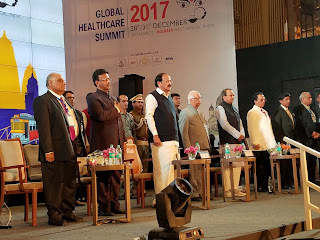 (Kolkata, India: January 1st, 2018) The 11th edition of the annual Global Healthcare Summit organized by the American Association of Physicians of Indian Origin (AAPI), USA concluded here at the historic City of Joy, Kolkata in West Bengal, India on December 30th at the famous JW Marriott with India’s Vice President Venkaiah Naidu urging Physicians of Indian Origin to return to India and rededicate their lives for the wellbeing of their motherland, India, as all the opportunities are now available here. “I would be happier if you people can come back to India and do something to help the society. Earlier the opportunity was very less here so people went to different parts of the globe for work. But now everything is available in India,” Naidu said during his valedictory address on the concluding day of the Summit here. Referring to the issue of brain drain, Naidu said, "I tell our children there are enough facilities in our colleges and IITs. "Still if you want to go, go learn earn and then return," he quipped. “Apart from conducting CMEs, seminars and workshops, AAPI must consider collaborating with various governments and other private organizations in establishing a state-of-the-art healthcare facility in each district of the country where affordable treatment is dispensed,” the Vice President of India told the delegates. “I am happy to participate in the valedictory session of the 11th Global Health Care Summit-2017, organized by the American Association of Physicians of Indian Origin (AAPI),” Naidu said at valedictory event of the GHS in Kolkata. The Governor of West Bengal, Shri Keshri Nath Tripathi, the Minister for Urban Development, West Bengal, Firhad Hakim and other dignitaries were present on the occasion. In his welcome address, Dr. Gautam Samadder, President of AAPI, said, “This GHS has promised to be one with the greatest impact and significant contributions towards harnessing the power of international Indian diaspora to bring the most innovative, efficient, cost effective healthcare solutions to India,” described. According to Dr. Naresh Parikh, President-Elect of AAPI, who had proposed the vote of thanks, the scientific program of GHS 2017 was developed by leading experts with the contributions of a stellar Scientific Advisory Board and International Scientific Committee, while the event featuring plenary sessions, interactive round-tables, clinical practice workshops, and meet the expert sessions. Dr. Ashok Jain, Chairman of AAPI’s BOD, in his address, summarized some of the achievements of AAPI including the 16 free healthcare clinics, AAPI’s legislative initiatives in the US, and the ongoing collaboration with the government of India and the state governments and several NGOs in helping healthcare efficient and cost effective. The Vice President praised AAPI and its noble “mission for India is to play an important role in making quality healthcare accessible and affordable to all people of India. It is indeed a laudable objective as both accessibility and affordability are the need of the hour, especially in a vast developing country like India with a huge population of middle class and lower middle class.” He called upon AAPI to “help in promoting the use of telemedicine in remote rural areas which lack access to healthcare facilities. Telemedicine can be used effectively in radiology, cardiology, oncology, dermatology and a few other areas. It will help in reducing unnecessary visits to the hospitals for consultations with specialists and avoiding long distance travel,” Naidu said. Naidu said that India needs an affordable health care revenue model to meet the challenges of modern day lifestyle. The Governor of West Bengal, Shri Keshri Nath Tripathi, the Minister for Urban Development, West Bengal, Firhad Hakim and other dignitaries were present on the occasion. "We treat a doctor as one who takes care of our lives. Medical profession is a noble profession as doctors are serving society,” the Vice President told the nearly 1,000 delegates who had come from around the world to attend the historical Summit. The Vice President called on the medical fraternity to put in efforts to bring down the costs of medical devices to make healthcare affordable. He further said that youngsters are increasingly falling prey to ailments due to a variety of factors, including sedentary lifestyle, improper dietary habits and job-related stresses. “We must all focus more on the service. The medical service in India is the need of the hour. India is still lagging behind in spite of a lot of advancement in medication. The Center is encouraging private sector in the medical healthcare sector. We must also go with the PPP model,” he added. Claiming that India has the potential to become a medical tourist center in the future, the Vice President said accessibility and affordability of healthcare should be ensured as a large section of the country`s population belongs to the middle and lower-middle class. The Vice president said that while India is progressing economically and incomes of people are improving, the common man is unable to meet the medical bill whenever there is a medical emergency in the family. With penetration of health insurance remaining quite low and majority of the Indian population preferring to seek medical treatment from private sector in health emergencies by spending from their own pockets, this problem gets compounded, he added. Naidu urged the Centre and state governments to invest more in the healthcare sector and educate people to get health insurance. Stating that providing proper medical service is the need of the hour, Naidu on Saturday said private sector investments and public-private Partnership (PPP) model should be encouraged more for the betterment of healthcare in the country. “The central and the state government must together spend more in the health sector. Also people should be educated about getting health insurance. Many people in India are worried about the cost but health insurance is very much required,” Naidu said. He said Prime Minister Narendra Modi was committed in expanding the medical sector and the "PM wants to have medical college in every district and trained medical staff in all these facilities". Observing India has made great medical advancements in recent times, the Vice-President said, "India is still lagging behind in spite of the progresses". Pointing out that modern lifestyle has made people shun physical exercise, Naidu advocated some sort of physical exercise and spiritual activities during the day which may help keep people fresh and stress-free. "The sedentary lifestyle of Indians have to change and doctors and scientists should educate people," he said. Naidu said there were 69.1 million cases of diabetes in India, according to a 2015 census, and called for the need to create greater awareness among the youth about the dangers of sedentary lifestyle and eating junk food. “The modern day lifestyle is creating serious health hazards. The doctors should indicate the people to go back to their cultural roots and follow the disciplined, systematic lifestyle. Diabetes is a major challenge faced in the country,” he said. The Conference was organized in partnership with the ministry of overseas Indian affairs and ministry of health and family welfare, along with collaboration with over 15 professional associations from all over the world. The GHS 2017 featured some of the biggest names in the healthcare industry, especially at the 6th annual CEO leadership forum with leaders from across the globe. GHS 2017 is being attended by over 100 opinion leaders and expert speakers from many countries across the globe to present cutting edge scientific findings as these relate to clinical practice, representing major Centers of Excellence, Institutions, and Professional Associations are represented by the invited chairs and speakers. The theme chosen for the GHS this year is Healthcare, Career and Commerce, with the focus on Women’s Healthcare, including high priority areas such as Cardiology, Maternal & Child Health, Diabetes, Oncology, Surgery, Mental Health, HIT, Allergy, Immunology & Lung Health, Gastroenterology, Transplant and impact of comorbidities. Offering trainings to First Responders, a CEO Forum by a galaxy of CEOs from around the world, inauguration of AAPI-sponsored clinic, CMEs, cultural events, Dinner Cruise on the Ganges, interactive roundtables, clinical practice workshops, scientific poster/research session and meet-the-expert sessions, Women’s Forum by internally acclaimed successful worm from India, a special session on Public-Private Partnership featuring AAPI Healthcare Charitable showcase & innovation, and Town Hall sessions resulting in a White Paper on helping create policies benefitting the people of India, are only some of the major highlights of the Healthcare Summit, Dr. Samadder said. In collaboration with the American University of Antigua (AUA) College of Medicine, AAPI organized a 3-day workshop/training (EMTC) training over 150 first responders, including police, para-medical professional at the KPC Medical College and Hospital, Kolkata as part of the GHS. Indian Americans comprise of 4 million people, representing around 1.25% of the U.S. population as of 2015. Indians contributed 17% of total earnings in the US from foreign students totaling $6.5 billion last year. An estimated 10% of all physicians and surgeons in the US are of Indian origin. An estimated 100,000 physicians and fellows of Indian origin currently serve in the US. In biological and biomedical sciences studies workforce, data from 2015 show that people of Indian origin in the US account for 14.6% of the total workforce holding 72000 jobs. Founded in 1984, the American Association of Physicians of Indian Origin (AAPI) represents one of the largest health care forum in the United States with the goal to facilitate and enable Indian American Physicians to excel in patient care, teaching and research and to pursue their aspirations in professional and community affairs. AAPI-Charitable Foundation is committed to serve the poorest of the poor in remote areas of India and USA. AAPI has always been present when calamities strike whether it is hurricane Harvey, Tsunami, Katrina, or earthquakes of Gujarat and Maharashtra. AAPI has hosted ten Indo-US/Global Healthcare Summits and developed strategic alliances with various organizations both in the US as well as in India. These summits are aimed at sharing of expertise towards improvement of healthcare in the US as well as in India. 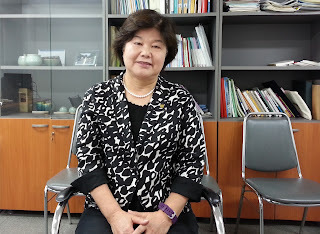 The Global Digest has interviewed Dr. Park Eun-kyung, Vice Chairperson of Korean National Commission for UNESCO, Chairperson of the Korean National Committee on ESD and visiting professor at Yonsei University. Dr. Park started Vice Chairperson of Korean National Commission for UNESCO since 2012 and reelected a 3 years second term in 2015. There are 5 Vice Chairpersons they are from Ministry of Foreign, Ministry of Culture, Ministry of Education, Ministry of Science and a Civilian each. The Commission is usually chair by minister of Education. Korean National Commission for UNESCO is an international organization based in South Korea. UNESCO headquarter is located in Paris. UNESCO member countries have each National Commission. Korean National Commission is one of strongest Commissions, said Dr. Park. Depend on each National Commission donation, they can ask their human resource to headquarter. South Korea status and its influences on the world affair have been prevailed from 10 years ago, along with its economic growth. In fact South Korea is a member of UNESCO since June 1950. So it has office in downtown Seoul inside Myeongdong area is the most expensive office space. They also get Commission budget from leasing their building to other, apart from the budget allocated from Ministry of Education. Korean National Commission has actively work with 500 high and middle schools, in domestic, a program called rainbow program, teaching peace, human rights, gender equality and environment issue across 5 regional groups in the country. Second, volunteer activity program by sending students to Africa for educating for literacy, and solving immediate problem and other creative way. Third, they assist other National Commission, how they can bring their culture heritage things in their own countries, e.g. they help Bangladesh, Nepal, Fiji, so on. South Korean government´s departments are very help for protecting and initiating heritage program in the country. After 1998, Municipal of South Korea becomes independent and they did merit. Due to their work hard Korea has a lot of heritage reorganization from UNESCO, said Dr. Park. Dr. Park is now dedicated for sustainable education, she mentions find the way of respecting oneself, and coexisting value, actually human to make happy is self respect. Dr. Park clarify South Korea has freedom of education, but some individual professor may have ethic problem. We can see there students used to prosecute professors. Right now, Dr. Park is focusing for UN Education Center Tongyeong RCE near Busan city. There are 25 hectare lands, building is in 1 hectare, and they have 27 networks with Southeast Asian. The Center is for education, a sustainable development for Asia. RCE means Regional Center of Expertise. It was UN theme for the last 20 years. South Korea spends 25 million USD for the center. 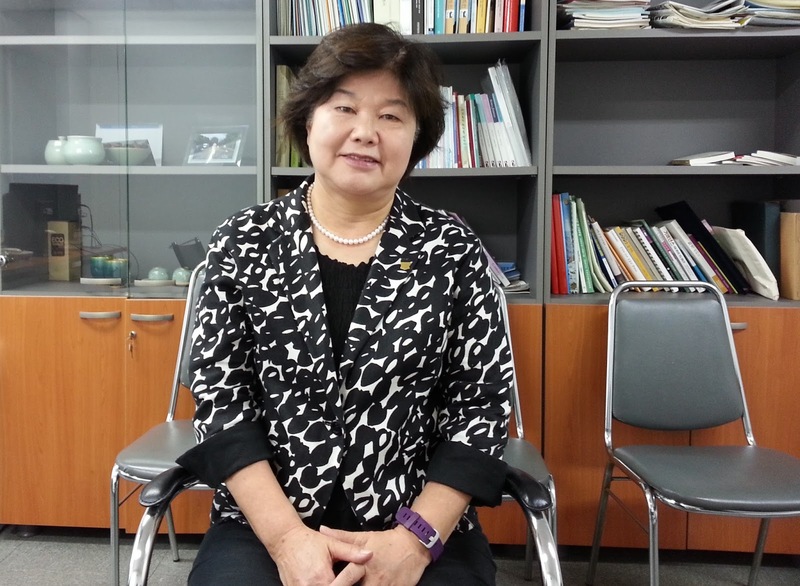 Moreover, Dr. Park was chair of hosting 7th world water forum in Daegu 2015. Korea Water Forum was formed in 2005 in order to organize water forum worldwide which cost 50 million USD. The former premier Dr. Hansungsu was the first president of Korea Water Forum. Under UN recommendation, World Water Council was formed it headquarter located in France. The first forum was held in Morocco 1997. Dr. Park was elected as the first woman bureau member of the council in 2009. There are 36 governors. President Lee appointed Dr. Park as an ambassador of Water Resources from 2009 to 2012 under ministry of foreign affair. Actually, under Lee government, Dr. Park was appointed as a Minister just and after 3 weeks she stepped down due to opposition pressure. Dr. Park points out there are water stress, South Korea can’t secure 50% of the nation´s water, e.g. Chungcheong province has water crisis. In fact, water industry is huge, of course 70% of water is used for agriculture. WEF stands for Water, Energy and Food, these are correlated, said Dr. Park, UN is dealing for that. In the world 1 out of 5 can’t have water to wash their hands. Nowadays, Singapore developed sea water to fresh water, and 50% of water are recycle. Dr. Park had been to Myanmar in 1989 right after popular uprising in impoverish country where a lot of breakdown public toilets and she saw only 3 colors in the country, and she also visited ancient city Pagan. Dr. Park finished BA in English literature from Ewha Women University, MA in Anthropology from University of Michigan, PhD course work in Anthropology also from University of Michigan, but actual received her PhD degree from Ewha Women University. She passed a national exam for study oversea among only 5 persons in 1968. She got married in US there, now her husband is a President of Seoul International Foundation. She and her husband both are 70. They have a son and a daughter, and 3 grandsons. The Global Digest had interview with Dr. Kihwan Kim, Chairman of Seoul Financial Forum. Dr. Kim was KDI president in 1980s, and he shortly served as deputy prime minister for economic and vice minister of Trade in 1983. He was a professor at University of California and University of Oregon for 13 years. He has PhD in Economic from University of California, MA in history from Yale University, BA from Grinnel College. He got a scholarship to study in US, meanwhile, discharge from military service. He served as a translator between US and ROK troops for 3 years, as an officer rank. Dr. Kim also met and shared opinion with Burmese delegates including Vice minister of planning for Economic Development for setting up a Myanmar version of KDI, which they are eager to do it. Currently Sang Woo Nam, dean of KDI for economic, serves as an adviser to Myanmar government. KDI(Korea Development Institute) was initially started as school of management and public policy. Dr. Kim was telling the Global Digest that the World Bank also requests him to present briefly 15 minutes about South Korean social, culture, development policy and etc. South Korean development was back to the President Park Chunghee’s policy on economic, industry, foreign policy and foreign Aid which played an important role. Dr. Kim is confidence by saying that he did the best job for serving the country. He was general secretary for international economy policy council. In his experience, diplomacy and negotiation with other country is played a crucial role. He also experienced negotiation with North Korea in 1984/5. At the time, he was chief of trade negotiation, US also wanted South Korea for faster opening of its market, Dr. Kim said. In 1997 financial crisis, he was given special task for solving economic crisis. So South Korean government appointed Dr. Kim for a special ambassador at large on financial crisis dealing. He had to negotiate between South Korean government and IMF, so economic crisis was solved in 2 years. Its counterpart Thailand was remained unsolved. Dr. Kim was a mastermind of solving 1997 South Korean economic crisis, but many other people not recognized him, Dr. Kim expressed sadly. South Korea did well on term and regulation with IMF in order to get loan. The first agreement was reached on December 3, 1997, but it was a small fund to deliver over 2 years. It won’t solve South Korea crisis. So Dr. Kim persuaded to release money early, and he went to US rather than IMF. He knows that US has a margin of voice over IMF, he met deputy secretary treasury of US Robert Edward Rubin. He proposed for ROK initial formal reform, so amendment of agreement made on December 24, 1997. It was turned out IMF granted loan to South Korea 38 billion USD for the first package. In fact, South Korea no need the second package anymore, because it already solved its crisis, Dr. Kim smiling said. IMF helps when country faced problem of balance issue and payment. Dr. Kim explained Human Resource is an important factor for economic growth but some mistakes can led obstacle for economic. As of now, Myanmar can get assistance from World Bank which will be more relevant. He expressed Myanmar can side with someone which country can give benefit for economic, industry, technology and so on, but not for military. Frankly, Dr Kim doesn’t want military involvement in the government. South Korea did successful policy toward US, at the same time, they are not enemy with other countries. On the other hand, South Korea military dictators took many military officers to train in US for at least 9 month, in order to get broader knowledge. Seoul Financial Forum is to accumulate financial in Korea, because they are weak in financial and their banks cannot competitive. So Dr. Kim is doing to overcome South Korean financial problem. Their target is to advise Korean government. “Strengthening policy recommendations for the government and Promoting communication between market participants and policymakers/regulators to achieve consensus on removing unnecessary regulations hindering the development of local financial markets,” according to the Forum. Dr. Kim also served as an adviser to Brunei government from 2012 to 2015. Under him there were 3 consultants from Japan, Germany and South Korea each. He had made a recommendation but Brunei government can’t able to implement them, Dr. Kim lamented. 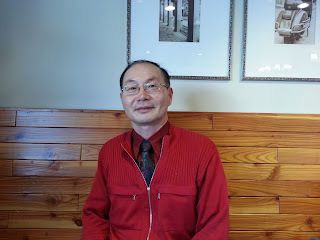 Dr. Kim born in 1932. He has a son and two daughters and grandchildren. The Global Digest has a brief conversation with Mr. Lee Changsoo. Mr. Lee started Human Rights activity since 1988, after his graduation in 1987 and a military service, where students movement against military dictatorship. Right after that, Mr. Lee joined Korean Union of Socialist Youth, where Mr. Lee was General Secretary and Secretary for International Relation. In 1990s, Korean achieved democracy and elected a civilian president. Mr. Lee engaged in judicial reform after a democracy system in Korea. Because there was no judicial independent until Roh Tae-woo government. That time, political activities were guilty. After only that, civil movement could started. Mr. Lee organized Solidarity for New Society and as its representative from 1999 to 2012, which is a member of working group at Human Rights Commission of Korea, one of among 73 NGOs. 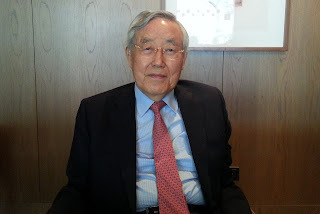 Later, Mr. Lee created Institute for Law and Human Rights in Society (ILHRS) and its chairman from 2012 to till now. ILHRS main activity is research and study on criminal law and Human Rights issues. ILHRS is only self support from membership fees. Mr. Lee explained most of human rights organizations have no sponsor in Korea. During Korean War 1952/3, civilian were massacre by state, there are over 400,000 victims. For that, he and other NGOs creates "pan Korean Committee for Truth and Rehabilitation during Korean War", Mr. Lee is chief of mission of this joint organization. They do investigation, published report and recommendation to government, and educate and endeavor to make to a related law to provide official investigation by the government for the victims. Even they did lawsuit to the court. Due to their effort, national assembly passed the law for finding the truth and rehabilitation for those victims. In fact, Human Rights Commission of Korea is started during Kim Dae-jung government. However, in 2000, ministry of justice rejected for independent status of Human Rights Commission of Korea. Mr. Lee argued the problem of democracy system, human rights crisis in across Asia, which are surrounding China is threaten to peace and security in Korean peninsula too. So, he wants Myanmar to be a peaceful and federal democracy, it is also important for Korean. Mr. Lee graduated BA in Public Administration from Hansung University, MA in International Politic from Sogang University, and graduated in Law from doctorial course of the Dongguk University. He was a lecturer at Dongguk University from 2007 to 2009 with the topic of Human Rights and Society. His hometown is in Soecho, Gangwando Province. 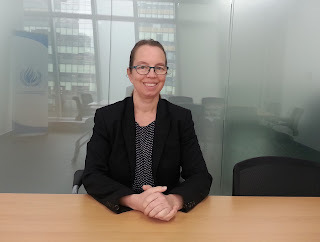 The Global Digest has interviewed with OHCHR Seoul representative Signe Poulsen at her office. OHCHR is a global coverage office only for North Korea(DPRK) human rights issue. After the commission of inquiry reported in 2014, such as interview with lot of defectors, the commission concluded human rights violation and crime against humanity in North Korea. This is why the establishment of OHCHR Seoul office. Although there was some threatening in early, OHCHR office was able to opened in June 2015. Of course, with the agreement of South Korea(ROK) government to setup the office here, in spite of other advantages in China. OHCHR tasks are establishing and monitoring and documentations of North Korea human rights situations, interviewing with defectors, humanitarian organizations, civil societies and agents from governments of South Korea and Japan, etc. They also analysis statements of North Korean government, and accessing satellite reports. Of course, those governments may have their own interest, but she has to stick on the facts, Poulsen said. She also has to balance from North and South Koreas view. In addition, technical cooperation and investigating together with government to improve Human Rights situation. In fact, North Korea didn't invited and accepted OHCHR Seoul office so far. However, North Korea is a signatory of the Convention on the Rights of the Child (CRC), the Convention on the Elimination of All Forms of Discrimination against Women (CEDAW), International Covenant on Economic, Social and Cultural Rights(ICESCR) and International Covenant on Civil and Political Rights(ICCPR). These treaties can persuade North Korean government, to implement human rights, Poulsen explained. The difficulty for her is that she cannot contact North Korean from South Korea. Her office cannot also provides a hotline communication for North Korean. Even she can't go North Korea without prior permission. So, only her UN headquarter can contacts North Korea in a proper channel. Moreover, She also has to make awareness on North Korea's human rights situation, such as campaign. Its a long-term human rights problem, it cannot solve overnight. Poulsen has to engage a lot with public and media in Seoul, meeting with separated families from North Korea and elderly people. As an international organization, she has to do international level reporting to UN General Assembly and Human Rights Forum. Poulsen also cooperate with an independent North Korea's rapportuer Marsuki Darusman of Indonesia. They also met in this year. Of course, two of their reports can be overlapping and similar finding. The important thing is they should be an accountability, Poulsen explained. South Korea considers North Koreans who entered into South Korea are as defectors, and accept them as its own citizens. South Korea has its own political position, Poulsen pointed out, and South Korea does a lot for North Korea defectors. OHCHR Seoul office has six staff members, two is from local. The office is financed through under UN regular budget. Seoul City provides the office room but utilities have to cover by Poulsen's office.